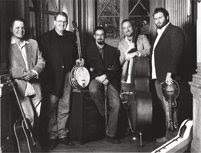 The Mountain Gateway Museum and Heritage Center in Old Fort (about 15 minutes east of the Inn), will be presenting Blue Ridge Traditions, a free summer concert series, on Saturdays beginning June 14. All peformances start at 7:00pm and take place at the Museum’s outdoor ampitheater, so bring your lawn chair, a picnic and your family and friends to hear some fantastic traditional North Carolina music. June 14: David Holt and the Lightning BoltsJune 21: Sheila Kay Adams and Balsam RangeJune 28: Cherokee Heritage with Freeman Owle, the Welch Family and fiddler Bobby HicksJuly 12: George Shuffler and Family, Denise O’Sullivan, the New North Carolina RamblersJuly 19: The Griggs, Paul Brown and the Toast String Stretchers. (At 4pm, join a mountain dance workshop with Phil Jamison and Loretta and Lynsey Freeman. )July 26: Clarence Green with Wayne Martin, and the Kruger BrothersTo get to the Museum at 102 Water Street in Old Form, take exit 73 off I-40, and go north 4 blocks. For more information about each performer and the concert series, visit www.ncarts.org/freeconcerts or call 828.668.9259. The Mountain Gateway Museum and Heritage Center exhibits many of the photographs, collections, videos and historical items that illustrate the area’s history as the westernmost outpost of immigration civilization in North Carolina prior to the Revolutionary War.